When it is time to buy cowgirl boots or cowboy boots, Renton, WA residents head straight to Country Square Western Wear! 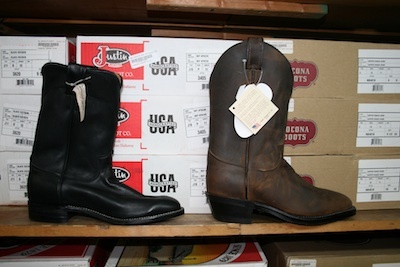 We are a leading western apparel store that offers a wonderful selection of western boots for men, women, and children. Though these are one of the best-recognized symbols of the Old West, cowboy boots are no longer the footwear of just those living in the rugged countryside. The western boots are extremely popular among the city-dwelling men and boys too. Some love these as a fashion and style statement, while others opt for them because of their sturdiness and durability. 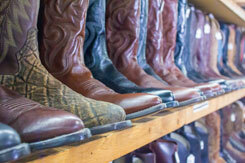 We maintain the largest selection of western boots in the Renton area. This allows us to offer our customers a wide choice so that they go home from our store with the exact cowboy boots or cowgirl boots that they wanted. Visit Country Square Western Wear today and check out the collection of western boots we offer for Renton men, women, and children. Call 253-220-7674 for more information.